Editor, teacher, and poet Sandra Stephenson is in Parrsboro for a Nonesuch Residency from now until late September. 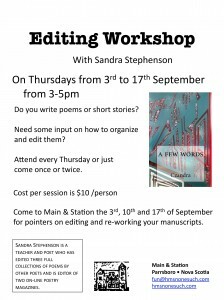 She will be hosting 2 workshops during that time, a Poetry Workshop on Wednesday afternoons and an Editing Workshop on Thursday afternoons. 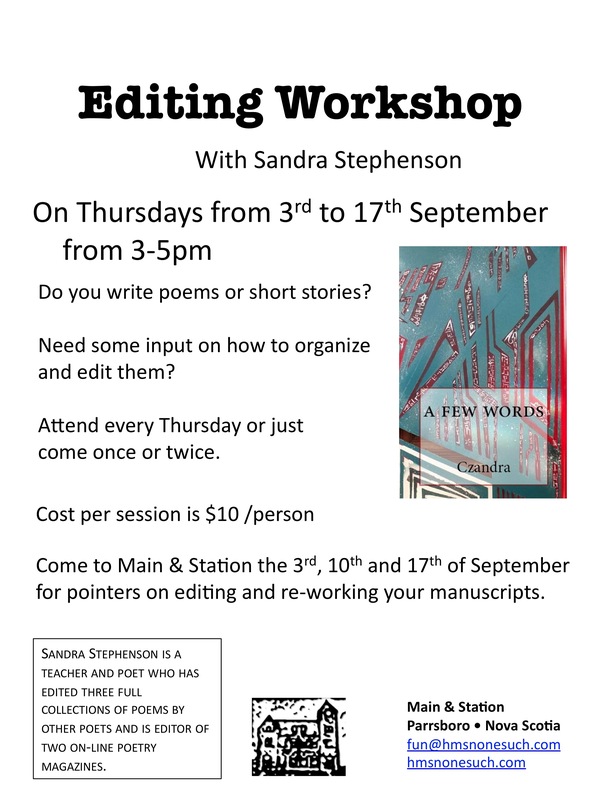 For more information, visit the workshop pages here: Poetry Workshop and here: Editing Workshop. While she is here Sandra will also be offering Sivananda Yoga on Tuesdays and Fridays and a ceremonial drumming evening on 27 August. 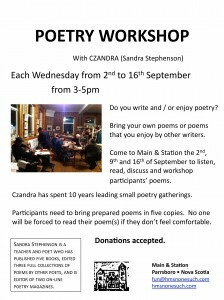 On 9 September, Czandra will be reading her poetry live alongside poet Darryl Whetter at Main & Station’s Nonesuch Café and if you miss that, or want to see them again, they will be performing together on 10 September at Truro’s Noveltea Bookstore & Cafe. And if you like to be read aloud to, or to read aloud, join us weekday mornings, Tuesday – Friday, from 11am for Bruce Chatwin’s ‘On the Black Hill’ and other literary treats. 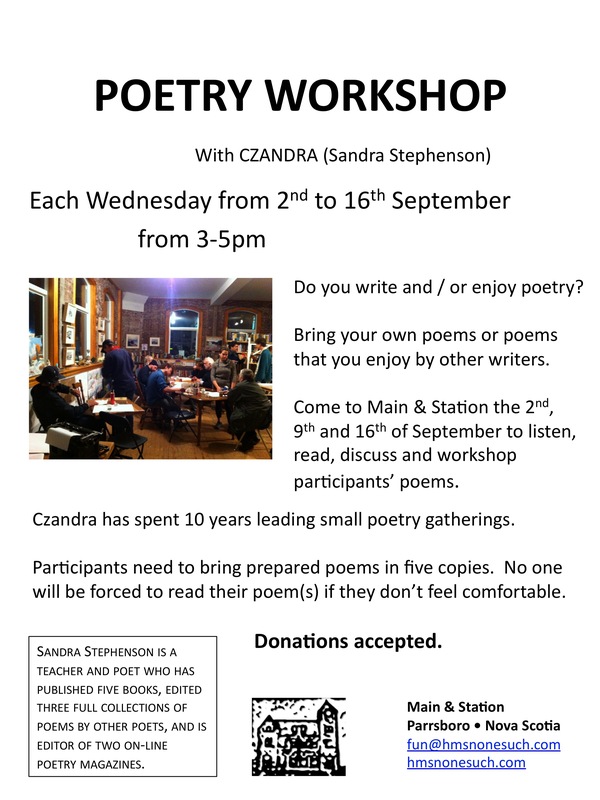 This entry was posted in Events, Poetry, Residencies, Uncategorized, Workshops Seminars & Conferences and tagged Czandra, Nonesuch Residency, Poetry, sandra stephenson, Spoken Word by Admin. Bookmark the permalink.